Micron releases the 1TB capacity c200 microSDXC UHS-I card featuring the Micron 96-layer 3D QLC NAND flash. 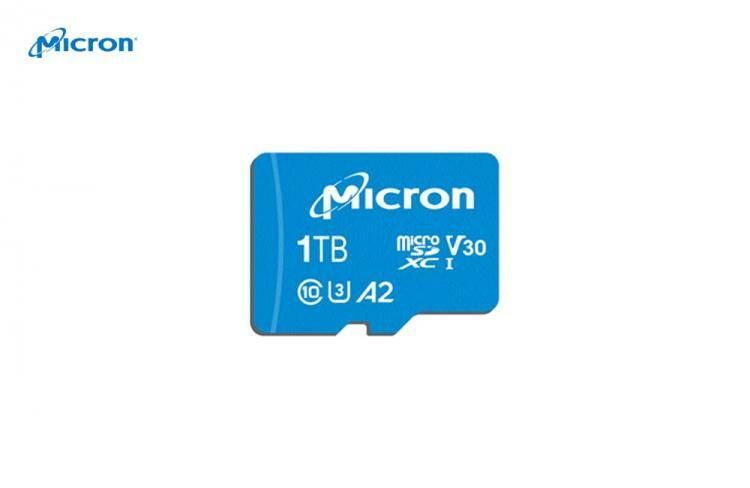 The Micron 1TB c200 microSD is the brand’s largest capacity microSD flash card with Application Performance Class 2 (A2) specification that guarantees fast loading of applications on Android mobile devices. It also features Video Speed Class 30 support for fast and smooth high-definition video recording including 4K HDR capture and playback. While Micron claims it to be the world’s highest capacity microSD card in its product page, we know by now that it shares this claim with the 1TB SanDisk Extreme microSD that Western Digital also released recently. The 1TB Micron c200 microSD offer speeds of up to 100MB/s read and 95MB/s write. It offers an effective storage solution for users that capture 4K HDR videos and store thousands of high-definition images, mobile apps, and lossless audio without getting low on storage space. The Micron c200 microSD offer read speeds of up to 100MB/s and write speeds of 95MB/s with write acceleration via Dynamic SLC cache. It also features intelligence maintenance during idle time for sustained peak performance. With capacities of up to 1TB, store more data for your mobile device, camera, drones, and others. The Micron c200 microSD meets Application Performance Class 2 (A2) which enables the built-in memory expansion with compatible Android devices for faster loading and operation of applications. The Micron c200 microSD also features UHS-1 Speed Class 3 and Video Speed Class 30 support. No information on pricing as of this writing. The Micron c200 1TB microSD will be available in Q2 2019. The Micron c200 will be available in capacities 128GB to 1TB. Learn more about the Micron c200 microSD here.